As the end of an expected iPad refresh cycle draws near, the steady stream of rumors and "leaked parts" photos of Apple's next-generation device grows, with the latest images claiming to show a black version of the 9.7-inch tablet's digitizer. Friday's supposed "iPad 5" photos come from Australian repair company Macfixit (via MacRumors), which posted the part as for sale on its website. The component is currently showing a "sold out" status. 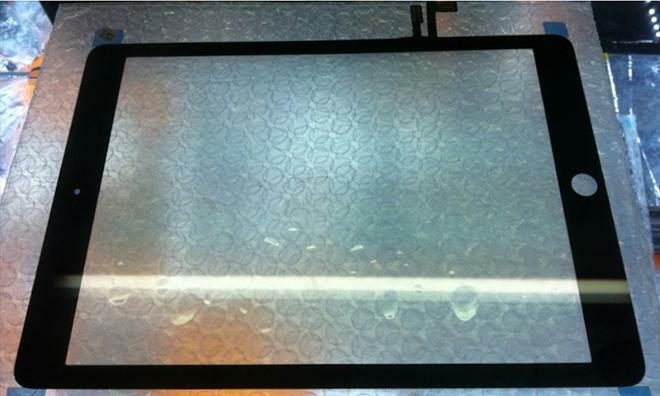 So it looks like we've got a preview of the replacement screen for the iPad 5 which is not even out yet! The purported iPad front panel appears to be identical to a part showcased in a video released last week. 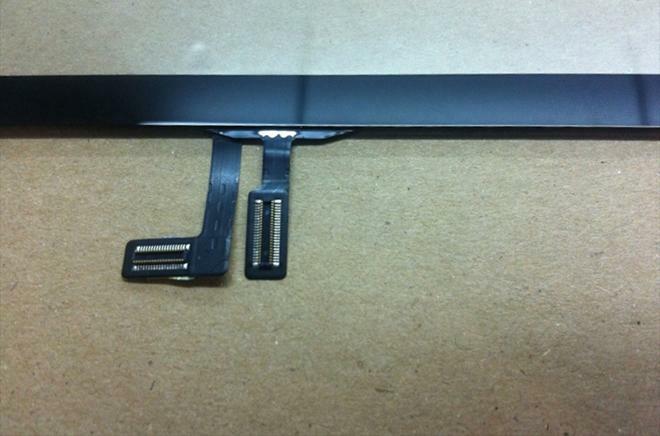 Both "leaked" components boast thin side bezels akin to the design of Apple's current iPad mini. Friday's images also include a close-up of the part's flex cables, which look to be shorter compared to the current fourth-generation iPad. Although mere speculation, the redesign could suggest Apple has rethought the internal component layout of the tablet in an effort to make the device thinner. Apple is widely expected to debut a refreshed full-size iPad this fall with a design more in line with the iPad mini's curved edges and sleek profile. While it is unknown when Apple plans to release the next iPad, analyst Ming-Chi Kuo, who has a good track record in predicting Apple's product launches, expects the 9.7-inch iPad to make its debut in the third quarter of 2013.